This is a project for a ice cream identity and package family for kids. It was a final college project created for the Graphic Design Project class in the College of Arts and Design Caldas da Rainha (ESAD.CR), Portugal. 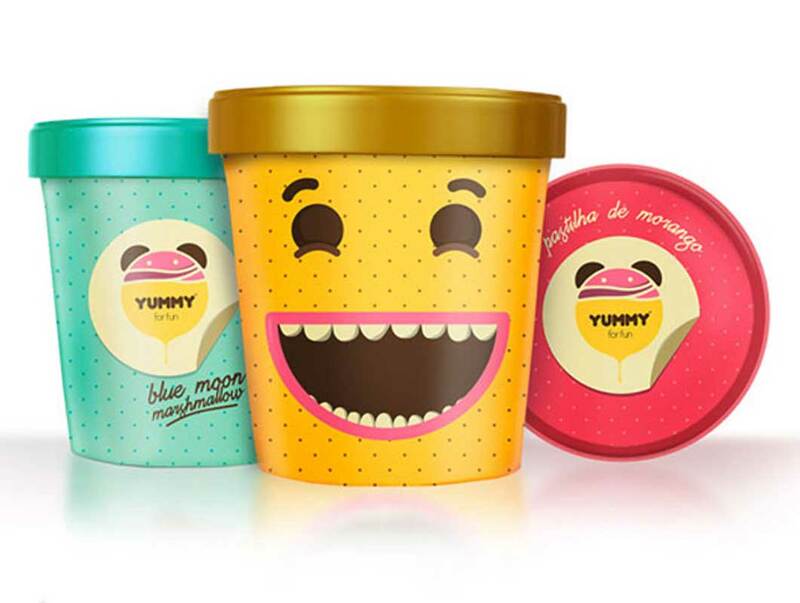 The faces and expressions interact with the kids by showing how fun and delicious it is to eat ice cream and turn the package into a collectible and reusable fun object for kids. Particularly, I always feel like laughing when i look at theses happy faces.